The famous cryptocurrency Bitcoin is actually built on the foundation of blockchain which serves as Bitcoin’s shared ledger. It is an algorithm and distributed data structure originally built for managing electronic cash without the need of central administrator (like banks or government) among the people who know nothing about each other. Imagine blockchain as an operating system, MacOS or Microsoft Windows, and Bitcoin as only one of the applications that can be run on that operating system. 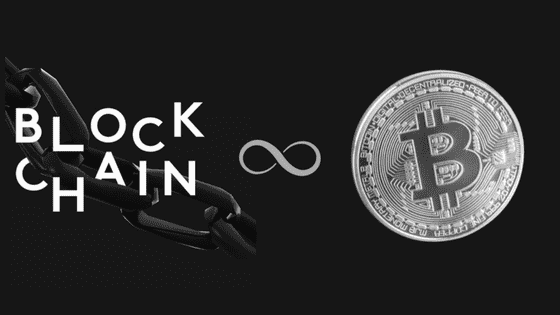 Blockchain offers the means for recording Bitcoin transactions, the distributed ledger, but this shared ledger can be utilised to store any transaction and track the assets’ movement, regardless of the nature they may be intangible, tangible or digital. For example, it can enable manufacturers to share production logs with original equipment manufacturers and regulators to minimize product recalls or be used by businesses to handle the flow of goods and related payments. The takeaway is that Bitcoin and blockchain are not the same. Blockchain gives the means to record and store Bitcoin transactions, however, blockchain has many uses beyond bitcoin. Bitcoin is only the first use case for blockchain. The blockchain is named after the way it stores transaction data – in blocks that are linked together to form a chain. As the number of transactions grow, so does the blockchain. Each block records and verifies the time and sequence of the transactions which are then logged into the blockchain, within a separate network that is administered by rules settled by the network participants. Each block comprises of a hash (which is a digital fingerprint / one-of-a-kind identifier), time-stamped batches of the recent valid transactions, and the hash of the previous block. The previous block hash links the blocks together and prevents any block from being manipulated or a separate block being inserted between the two existing blocks. Like this, each following block strengthens the confirmation of the previous block and thus, the entire blockchain. This method makes the blockchain tamper-evident – thus lending to its key characteristic of being immutable. Just to be clear, while the blockchain does contain transaction data, it is not a substitute for databases, transaction processing, messaging technology or business processes. What blockchain contains is a verified proof that the transaction took place. Although, blockchain fundamentally serves as a database for recording transactions, its advantages are far beyond than that of a traditional database. How is blockchain revolutionising traditional business network? In the traditional method, the participants on the network keep their own ledgers for recording transactions and for assets tracking. This method is expensive, because it involves middlemen or intermediaries that charge a fee for their services and it is inefficient due to the postponements in performing the agreements and duplication of the effort that comes with maintaining multiple ledgers. Meanwhile, it is also susceptible cause if the central system was compromised by a fraud, cyber attack or even a mistake- the entire business network will be affected. On the other hand, the blockchain architecture allows all the participants on the network to share the ledger that is updated, via the peer-to-peer (P2P) duplication every time there is a transaction. The P2P replication means that every participant (node) in the network acts as a publisher as well as a subscriber. Each node can receive or send transactions to the other nodes, and the information is synchronised across the network during its transmission. The blockchain network eradicates the need for intermediaries as well as the need of replication of effort. Not only that, it is also less vulnerable as it uses consensus models to confirm information. Thus, transactions are authenticated, secure and confirmable. The participants that are in the traditional network are the same in blockchain – what’s changed is that the transaction record is now shared and accessible to all the parties.